When details about Android TV leaked this weekend, little was known about Google's second venture into the living room aside from the name and what it would look like. The Android TV effort, which had been in the works for quite a while, had been kept a close secret at Google. Or maybe it wasn't. A recently uncovered video from CES 2104 in January has revealed that Google's hardware partners, including Marvell and Hisense, were showing off a Hisense TV that was running the new Android TV. 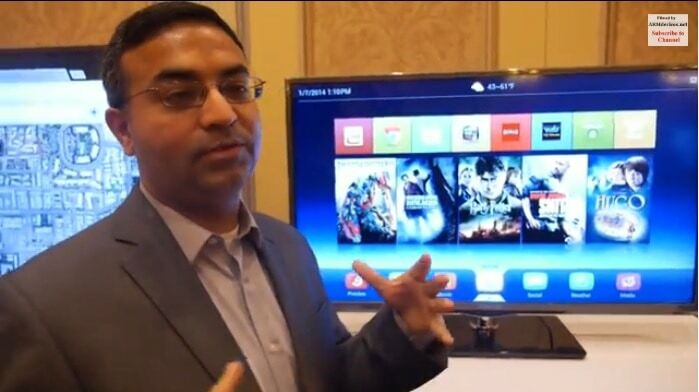 Charbax caught up with Marvell at CES 2014, and the rep was more than happy to show off the "secret" Android TV project. Apparently it's already in the hands of device makers, and Hisense has shipped at least one SmartTV that runs Android TV in December. The video has a lot of detail about Android TV, including the fact that the Hisense TV on display runs Android 4.2. It's available in the US now, and it will soon be followed by other devices running Android TV, including several devices which are going to ship in Europe in the Spring. Android TV is going to be more than just a Fire TV competitor; the Marvell rep mentioned that they are showing off Android TV running on everything from a single core chip (like what's in the Chromecast), a dual-core chip (like the Roku 3 box), and even a quad-core chip which could be as powerful as the Fire TV. Google wants Android to power all of the devices in your living room, not just the high end ones like the Fire TV. Given that Google is already seeing a lot of success with ChromeCast, I wouldn't be surprised if they displaced either Roku or Amazon as the second most common platform. Hardware is _almost_ irrelevant these days. Software is more important, but still what rules is Content. And in that regard Amazon did the right thing pushing for rich content options. There are zillions cheap tablets/phones with crappy software and very little market value. I am afraid it’s the fate of Android TV too. Google + major content provider = STB could have value, but this endeavor is no more than adding AD screen space for Google without real value for us users. The Amazon examples prove you can make money off Android without having to give any to Google.